About a week ago we reported that details of Comeback Kid‘s forthcoming album had been sent to Exclaim by Victory Records. There were no official announcements from the band or the label during that time, but now the band has finally confirmed the details of their fifth studio album. The band will be releasing Die Knowing March 4 via Victory Records. Pre-order bundles have now been launched, and the title track is now available for streaming. You can check out “Die Knowing” by taking a look below the jump. 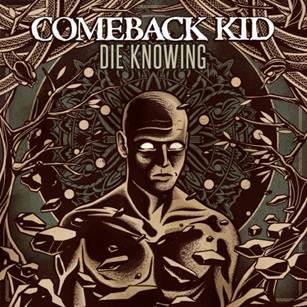 To support the release of the album, Comeback Kid are embarking on a headlining tour starting next month. Check out their Facebook page for a full list of dates.